The formula is fairly simple. Activate Listening to tune into consumer conversations and, where appropriate, create content in Response in order to drive attention and extended reach through person to person sharing. 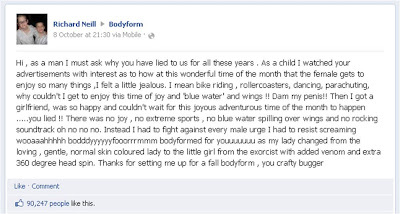 This Facebook post has generated a lot of attention for Richard Neill and Bodyform. 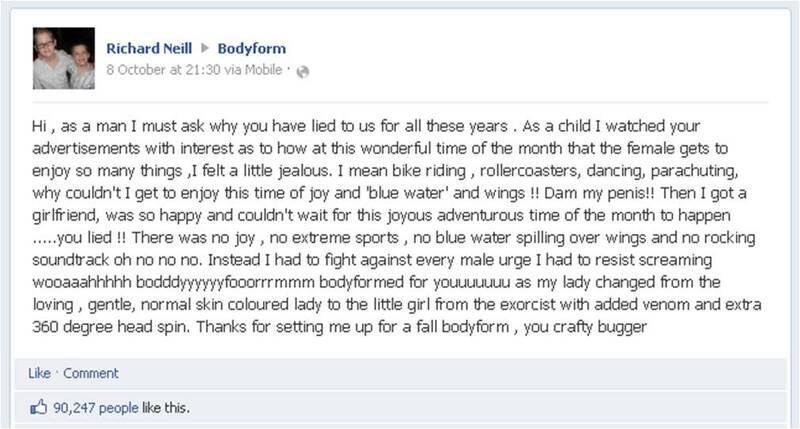 It appears to be a genuine, if slightly odd, Facebook post and Bodyform have now Responded with a video titled 'Bodyform Responds: The Truth' featuring a message from (fictional) Bodyform CEO Caroline Williams. So should more brands be acting this way?